Do you know the pleasant feeling when you are lying down to a freshly covered bed? It is not a matter of course – the first step is choosing the best bedding. There is a plethora of colours, patterns and materials available. It is mainly the material used what affects the quality of your sleep. Other factors are also very important, such as the ability of removing moisture, maintaining a constant temperature as well as good absorbency. You will be likely interested also in other factors, such as an easy maintenance, specifically what temperature must be used for washing, if the material needs ironing or how fast it dries. First, you need to choose the right material. The most commonly used material is cotton in various modifications. Its benefits include breathability, good absorption and excellent ability to regulate temperature, thus creating an ideal environment for sleep. Also flannel beddings are made from pure combed cotton with double-sided pile, that is why their use properties are comparable. These linens are recommended especially in cold months, because the material is coarser, it warms you easily and it retain the warmth. 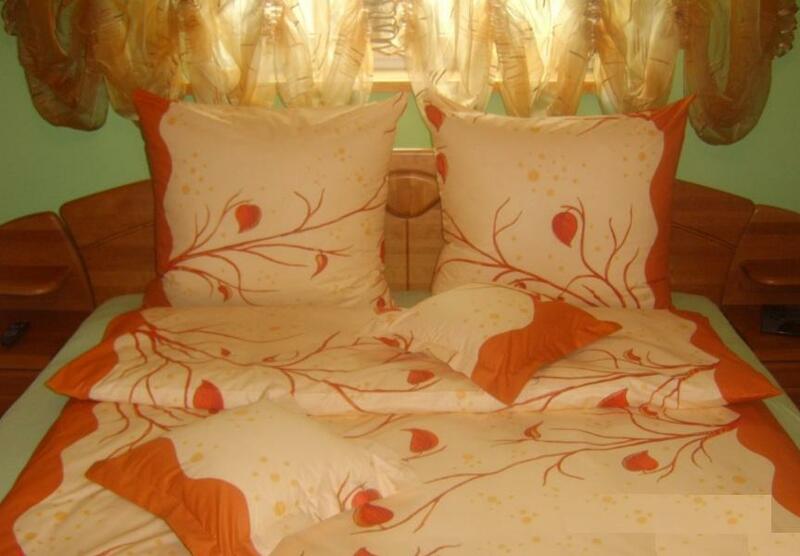 In summer season, we recommend you satin beddings made of high quality combed long fibre cotton. This material is very soft and snug, however its price is higher. You can also choose terry linen which is made from a blend of cotton and polyester, that is why its maintenance is easier. You can also get polyester bedding (made from synthetic fibres). This material dries very quickly, however its absorptive capabilities are not good. Crepe fabric is also a very popular choice; it is soft shaped cotton. These are the most common materials – and their list is far from over. Generally, when choosing the bed linen, you keep to your preferences above all, but you need to consider the basic differences, as well. Thus artificial materials are considerably less absorbent than natural materials however they are easier to maintain. The colour and design of bed linen should suit to the rest of the interior. If a member of your family suffers from allergy, you should know that there is anti-mites linen available. It is impregnated with a special substance which remains active for 40 washings at 40 ° C (104 °F). You can get it in various materials and it is often made of crepe or satin. After you have chosen the colour, pattern and material, you need to select the right size. There are the classic length (pillow 70 × 90 cm, blanket 135 x 200 cm) and the extended length (blanket 140 × 200/220 cm). The same applies to children’s sizes, which are available in the classic size (pillow 40 x 60 cm, blanket 90 x 130 cm) and the extended size (blanket 100 x 135 cm). You can also see the “French variant” of linen (which can be in the extended version, too). This is a bedding for a double bed with 2 pillows of the classic size and 1 blanket of the classic size (210 x 200 cm) or of the extended size (210 x 220 cm). Now, you need to combine all your demands on the linen with an affordable price, and we wish you a peaceful and comfortable sleep. Antique Furniture - Original Pieces Or Replicas?